You can clearly see the cataract on Bunny Roo's eye. I love dogs and am very passionate about dog rescue…especially older dog rescue! Most older dogs that enter the public shelter system never leave. This is because most people wish to adopt younger dogs and don't want to take on the problems that many older canines have. I am here to tell you that older dogs make wonderful companions and more often than not, simply need a warm, safe place to sleep and a family to love them. Currently, I have three dogs. One Border Collie, one Aussie Shepherd and an old Beagle named Penny. I adopted Penny from a local rescue group. She was dropped off at the pound when she was ten years old because her family no longer wanted her (they wanted a puppy!). Well, Penny's story simply broke my heart and I am happy to say that she has been with me for over one year and is one happy and healthy Beagle! Before Penny entered my life I had a Beagle named Bunny Roo (yes that really was her name!). Bunny Roo was a stray….picked up from the side of the highway…very sick and very hungry. I loved her the second I saw her at the local dog adoption event and knew I had to make her a member of my family. Bunny Roo was at least ten years old when I adopted her and though I only had her for four years before she passed away I will never forget her! She taught me that all dogs need love…no matter what their age may be! 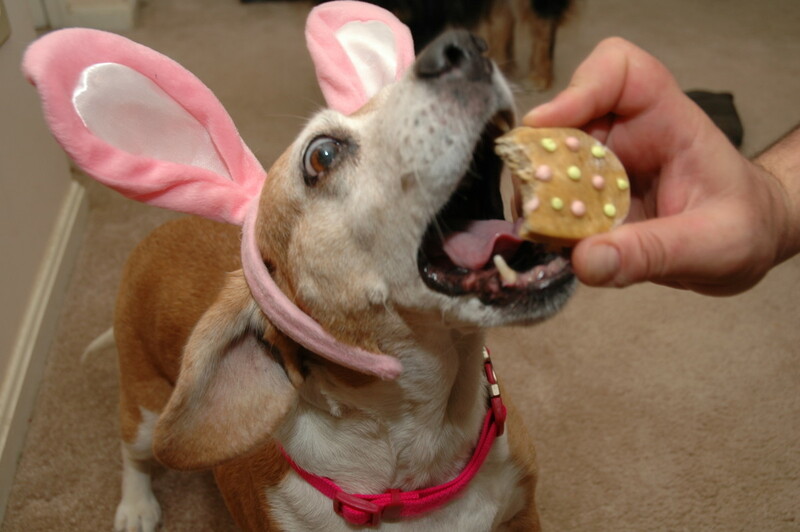 Bunny Roo Beagle did have some health problems…but that was too be expected. 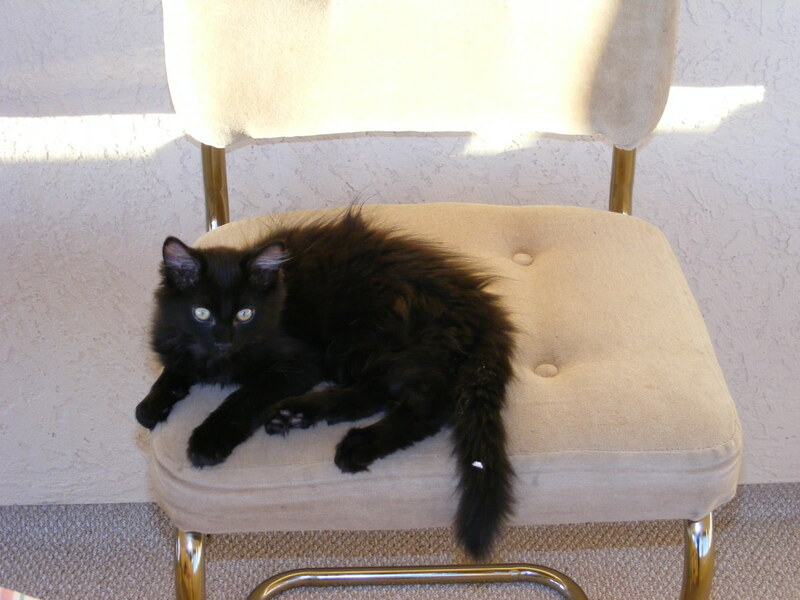 After all, she was a stray and had most likely never received much needed medical care. The biggest medical problems that Bunny suffered from were eye issues (Cataracts and Glaucoma to be exact). Since I have become an expert (so to speak) on both issues, I decided to share some helpful information. After all, knowledge is power and the sooner you treat your dog's medical condition (no matter what it may be) the better! In a nutshell, a cataract is an opaque spot located on the lens of the eye (yes, people can develop cataracts too). As you can see in the picture, Bunny Roo had a severe cataract on her eye. 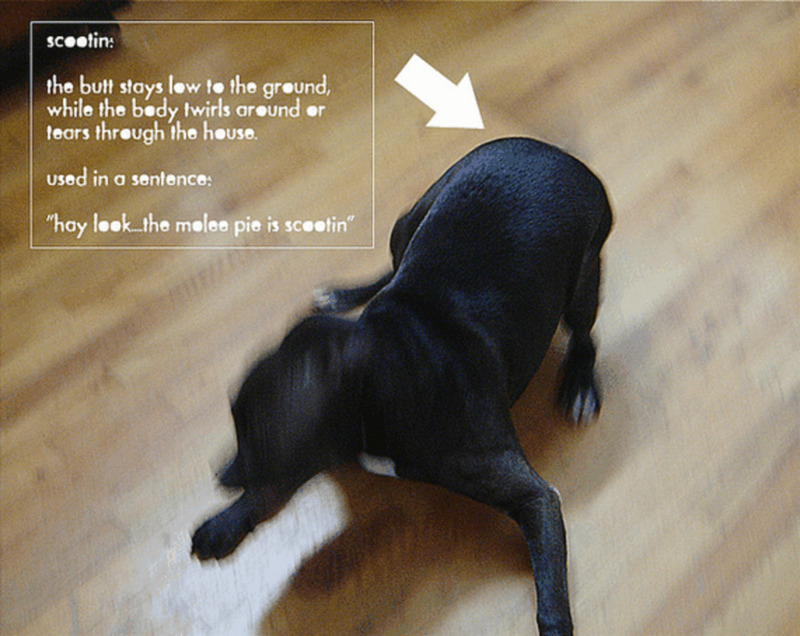 A dog's eye lens is usually a transparent structure that focuses images upon the retina (which in turn allows the dog to see). 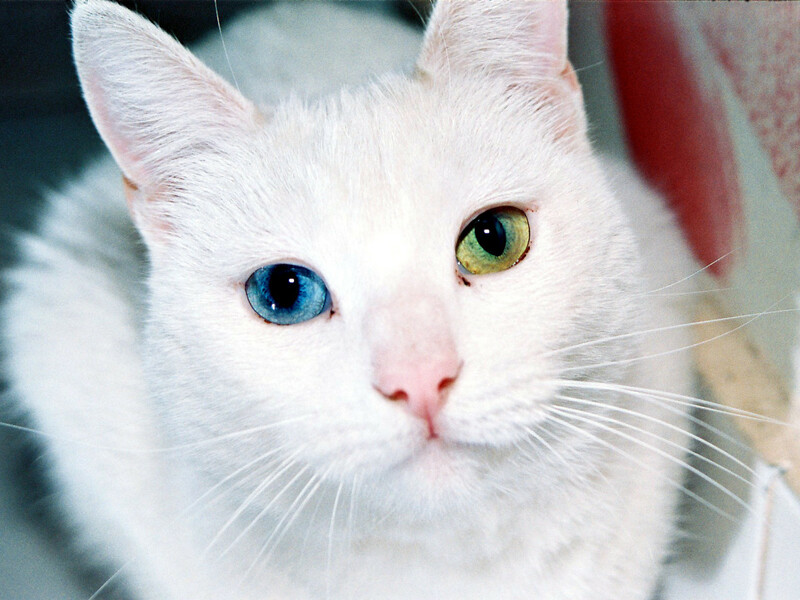 If not treated, cataracts will eventually cause blindness (hence the importance of regular veterinarian check-ups!). The surgical procedure that is performed in order to remove a cataract is called phacoemulsification (good luck pronouncing that one!). Basically, the vet fragments the damaged lens using ultrasonic vibrations, removes it, and then replaces it with a clear, plastic intraocular lens. Though this procedure sounds complicated (and even frightening) it is rather routine. 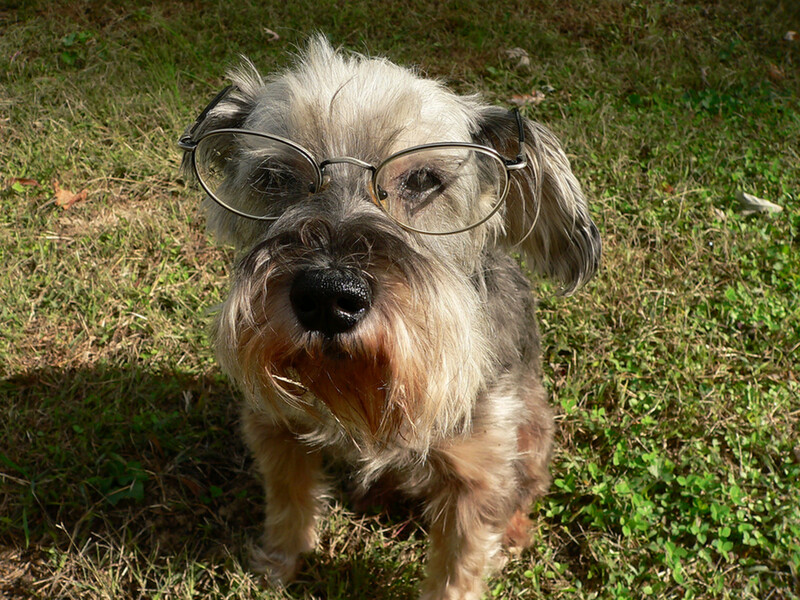 Cataracts can be inherited or acquired as a consequence of aging and disease (such as canine diabetes). Canine eye exams are a must! You can clearly see that Bunny's eye is bulging. Ouch! As I found out first hand, Glaucoma is a very serious eye disease that can be quite painful. 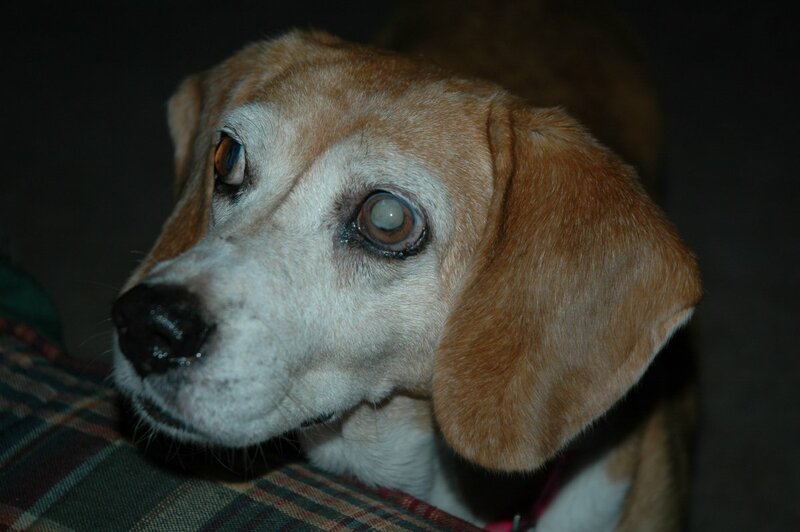 Bunny Roo Beagle had Glaucoma and had to have her eye removed. Glaucoma develops when fluid in the eye is produced more quickly than it can be removed. As a result of this fluid build-up, a sustained increase in eye pressure develops which in turn can damage the optic nerve and retina. 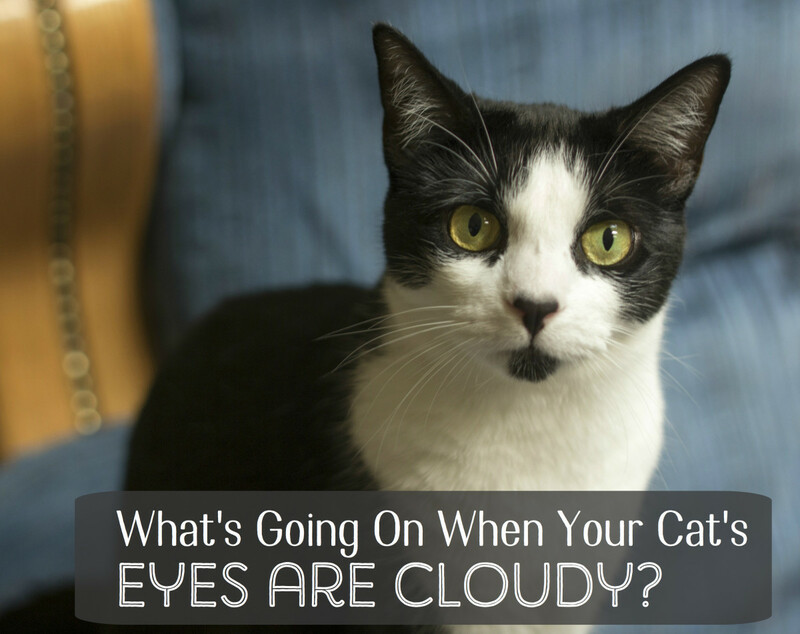 When this happens, pain and more often than not blindness occurs (if left untreated). Bunny Roo Beagle had eye problems from the moment I adopted her. She was on a steady regimen of eye medications that were meant to treat her Glaucoma (with the hope of avoiding surgery). One day I noticed that her eye was VERY red and appeared swollen (it was in fact bulging out of her skull). I immediately took her to the vet and they informed me that her Glaucoma was not getting better and that her eye would need to be removed in order to bring her some much needed pain relief. I was told that the pain that her eye was causing her was equivalent to that of a bad migraine that a human might suffer from. I knew I had no choice and surgery was scheduled. Bunny Roo got through her surgery with no problems. The vet removed her eye (and though not pretty to look at) Bunny was back to her old self within a few days (eating and begging!). I will warn you that canine Glaucoma surgery is very expensive; however, most veterinarians will work out some sort of payment plan with you if necessary. Bunny Roo's surgery cost approximately $1800! Whew! About two weeks after surgery! 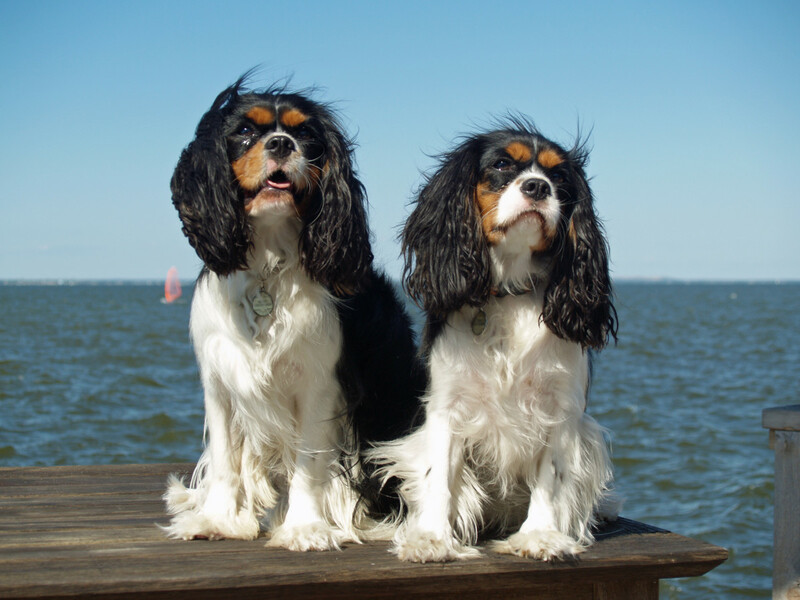 There are actually two types of Glaucoma that can affect dogs….primary and secondary. 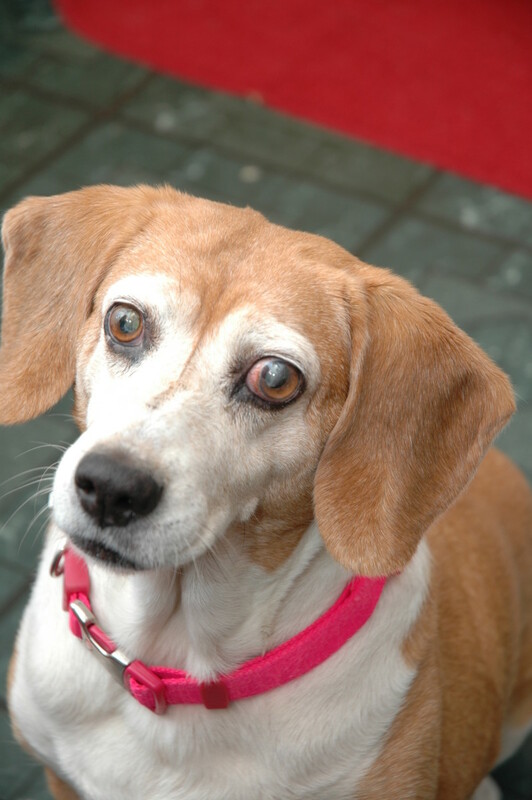 Primary Glaucoma is hereditary and is seen mostly in Beagles, Cocker Spaniels, Basset Hounds, and Samoyeds. Secondary Glaucoma usually accompanies other eye problems such as Uveitis (which is inflammation of the uvea…the cellular layer of the eye), injury or lens displacement. There are several signs to look for when it comes to Glaucoma. If your dog's eyes are constantly red, and he or she is always squinting then an eye exam is necessary (as soon as possible!) as both of these symptoms can be indicators of pain. Unfortunately, Glaucoma cannot be cured, however, it can be treated! If diagnosed early medications can be prescribed to help your dog and keep their condition from worsening. Bunny recovered from her surgery and was one happy Beagle! Ask for a Basic Eye Exam! Bunny Roo Beagle's eye began to bulge severely in what seemed like a short period of time (over-night in fact!). Though she was on eye medications, her Glaucoma was too severe and too advanced to avoid surgery. I am thankful that I knew what to look for and was able to get her to the vet as quickly as possible. 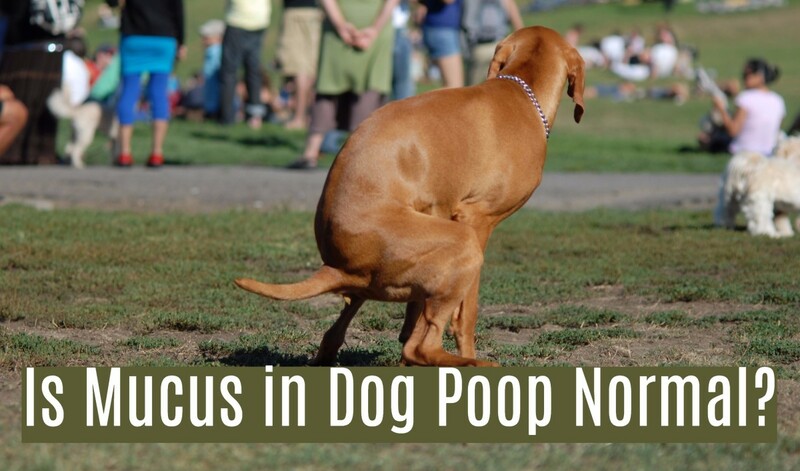 Being pro-active when it comes to your dog's health care is very important! 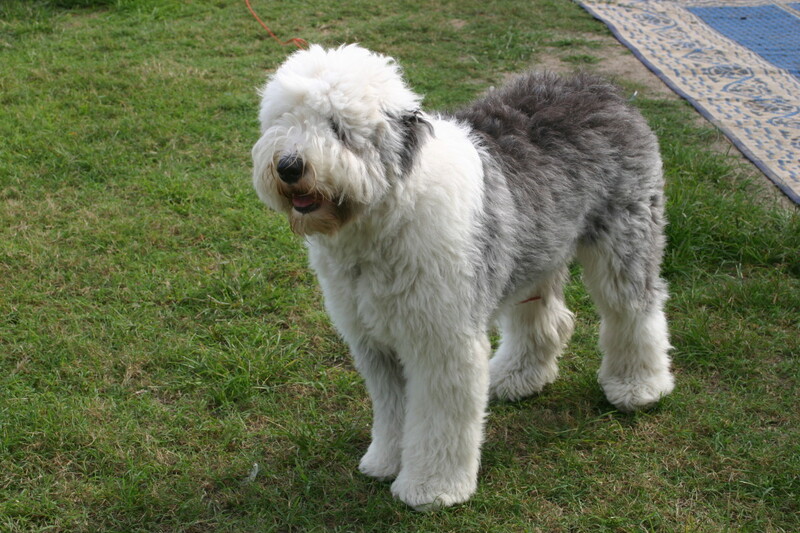 Take your dog in for all routine check-ups and be sure to ask for a basic eye exam the next time you are there! Here's to happy, healthy OLDER dogs and to crystal clear vision! Woof! Rest in Peace Bunny Roo Beagle! my 11 yr. old dachshund has diabetic cataracts and one has a red tint to it what does that mean? Don't know what to do. I'm in tears. I would welcome ANY advice. My old girl turning 14 in September this year, was diagnosed with glaucoma in her left eye. Over the Xmas break, I noticed a bit of squinting and redness, but being Boxing Day I didn't seek vet care. I didn't seek vet care till the day after. My poor old girl didn't really seem herself, but didn't show great signs of being in pain either. So drops, along with anti-inflammatories were suggested as a short term solution, whilst we were going away on holidays, and my girl was staying with my mum...mum looked after so, so well. Soon as I got home, she was back to the vets. Vet suggested her eye needs to be removed. I'm baulking, because she looks ok, she's eating, pooping, playing etc. the only sign is the slight bulge and redness of the eye. So I have another vets appointment, and am at a cross roads as to what to do....she took a long time to recover in 2009 from major surgery to remove a mast cell tumour, In which I was told she'll live another 2-4 years. I actually scared she'd go down hill after surgery. I'm very sorry to hear about your dog Zoey. However, it is comforting to know that dogs are remarkable when it comes to adjusting to new situations...especially when they have a family that loves and cares for them. My dog seemed relieved after her eye was removed. The vet said it was probably causing so much pain...it felt good when it was gone! Good luck with Zoey...I'm sure she'll do just fine! My dog Zoey lost her eyesight January 1,2011. Since then the pressure in the eyes had continued to increase. February 1, 2011 both of Zoey's eyes were removed. She is still at the vet but is doing fine. We will be picking her up on Monday. I feel very bad for her that she had to loose both eyes, but we love her as much without eyes as with. Winey: Sorry to hear about your beagle. I know first-hand how you feel as my beagle had glaucoma too. 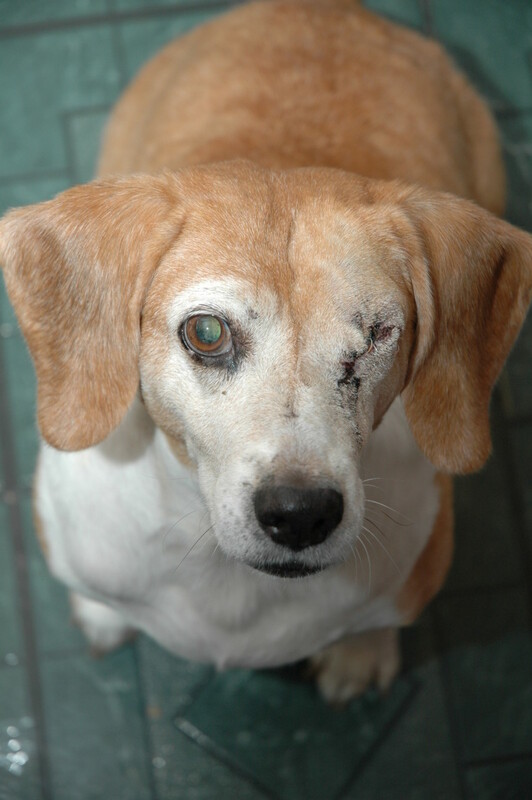 The best thing we did for our beagle was to have her eye removed. The pain she was feeling due to the pressure was horrible. She actually seemed relieved when the eye was gone! Since you are dealing with BOTH eyes...you may have a very tough decision to make (if the stronger drops don't help). I wish you and your beagle the best. Your dog is very lucky to have such a caring owner. Good luck and let me know how your beagle is doing once you start him on different medication. We have been treating our beagle's glaucoma for almost a year and it seems the drops aren't working. They think the vision is completely gone from his left eye and almost gone from his right. He is only 6 and with his brother (not literally) he gets around fine - in and out, around the yard and up the deck stairs. We find out next week if the stronger drops are alleviating the pressure but the thought of him losing both eyes scares me so much for him. Really a tough decision. This hit home. My beagel was just diagnosed with glaucoma today.